We are happy to help you with treatment questions. I have so many good things to say about Envita. In short I literally carried my 17 year old daughter Amelia in for her first appointment. Her body had begun to fail her over the six months leading up to our coming to Envita and she was wracked by such unbearable pain that she was no longer able to walk. She walked out three months later in excellent health full of smiles, happy tears and laughter. Her diagnosis was Lyme which we did not know when we came, and treatment was rough but extrodinarilly effective. She still has some healing left, but her Lyme disease is considered cured and she is pain free. It may seem that Envita is too good to be true, but what is real is that they are an office of such highly intelligent cutting edge specialists that they know how to get people well. The staff is amazing and endlessly patient and kind. We walked in each day to smiles and warmth and received genuine caring and compassion throughout. When my brilliant straight A student 17 year old daughter became profoundly ill and unable to leave her bed I was floored that the medical community responded with three month appointment wait lists and lack of concern. When I called Envita and talked with Samantha she was perceivably impacted and genuinely concerned for Amelia's health, she worked a miracle for us and got us an appointment within the week. Samantha was the first medical professional that showed empathy, compassion and true worry and when she did so I knew we had found the right place. I wanted Amelia somewhere where people cared, and that is something Envita staff does amazingly well. We owe Amelia's health and bright shineybfuture to Envita and are forever grateful. I was diagnosed with stage 3b ovarian cancer in April of 2014. Not knowing what else to do I did what most everyone else does. I went to the oncologist, had a big surgery and then started chemo. By December the family was called. Amazingly enough I didn't die. I came out of it very weak and with a severe case of neuropathy which meant leg braces and a walker, My husband, family and friends had to help me with pretty much everything. In the process of this my son-in-law heard about Envita. My husband and daughter loaded me up with all my assorted paraphernalia (walker, braces, toilet raiser, wheelchair) and headed to Arizona. My family and I then met some of the most caring people that you will ever meet. I spent three months receiving naturopathic treatments. At the end of that time I went home in much better shape than when I arrived. As to the cancer, my markers were good until the middle of 2016 and then they started to go up. I returned to Envita for potentiated therapy which is a form of chemo. I have also had some treatments in 2017 and 2018. Cancer is a difficult disease and the person who thinks they can treat it and just walk away is greatly mistaken. I am in alive today because God helped me find Envita and even though I am still dealing with cancer I am in a much better place today than when I arrived in Feb of 2015. As a continuing patient of Envita, I'm thankful for Dr. Poteet and Samantha for (1) believing that I was sick and (2) not giving up on me. AM I still sick? Yes - but they've given me hope. With their continued care, I have a life again. Thank you! When I first visited Envita in April 2018, 'Hope' was the word I came away with. It was the first time in 5 years I felt hopeful. I was diagnosed with chronic lymphocytic leukemia in December 2013. My journey has been long, filled with mountain tops and valleys, but the care and treatment I received from Envita was first class. The staff and nurses were amazing! My physician was very knowledgeable. It was so nice to feel like I had someone fighting along beside me. I would recommend Envita to anyone fighting a battle, whether it be cancer or Lyme. I have suffered for the past 20 years with Lyme Disease and the past year was basically bedridden. A good friend called and told me about Envita. I started going to Envita in June of 2018 and went for 8 weeks. All of the nurses, staff and Dr. Warren were very attentive to my needs. After 3 1/2 months of treatment I can gratefully say that I am back on my feet, feeling better and my life has returned to normal. I was a busy single mom running hard in April of 2017. But I became ill and by November was crawling up the stairs to get to my bedroom. I spent 6 months being misdiagnosed while my condition worsened before going to Envita where my sister was being treated for Lyme disease. It was a tremendous relief to find a kind and caring team who actually took the time to listen, ask questions and begin a sensible plan for uncovering and treating the cause of my extreme fatigue and illness. The approach worked and got me back on my feet again over the next 6 months. I am going back to work in a few weeks and am so grateful to have my life back ! Anyone who's been through the Lyme ringer knows how challenging it is to be treated. I tried 4 specialists from around the country. You'd get to see the doctor once every 3 to 4 months. Getting an answer would take a week or never and forgot about adjustments to treatment between your 3 to 4 months appointment. After not getting the help I needed I decided to leave New York and goto Envita. I wish I had done it 6 months earlier. You get a dedicated account coordinator. I had Sam who is amazing. Questions are answered in 24 hours, adjustments are made sometimes weekly and the doctors are always available. Need to see the doc...they usually get you in that week. Sam would reply to emails all weekend long, even if it was just to say I'll get back to you first thing Monday. She never got annoyed and was always willing to help. Is it expensive yes but that's they price you pay to get that level of care. If you have Lyme you know there is no standard treatment and you may have to try several different plans to find what works for you. No one can guarantee anything but Envita's treatment is certainly worth the money and the shot, especially if you've already failed with other doctors. At age 57, I received my diagnosis of stage 4 breast cancer with metastatic spread to bones and liver. Right away my oncologist's dire predictions and inadequate proposed treatment protocols didn't ring true to me! It was basically palliative care and raised my Irish!!! I looked for alternative treatments that were consistent with my knowledge that there were more progressive and cutting edge treatments for cancer. My search brought me to Envita. The thorough testing revealed the underlying causes and best modes of treatment, which science and commensense dictates is the best way to fight any chronic disease. From the incredibly knowledgeable and likeable Dr. Poteet, Samantha my sweet patient coordinator, and the wonderful nurses and staff at Envita, I could not have had a more positive experience! The fellow patients were and have remained great sources of strength and inspiration. After 3 and a half months my tumours had totally resolved, my pain had diminished greatly and my energy and vitality had returned and I had a whole new lease on life. I am keeping on top of things with the continued guidance of my Envita family and continuing some treatments back home as best as I can and I have had continuing great news with blood work and scans. I am so happy and thankful that I choose Envita as my treatment option and would recommend getting, at the very least, a second opinion from these talented people when you are handed a death sentence. In september last year, I received a diagostic of Lyme Disease from Envita, and shortly after a proposed protocole to treat it. With my engineering background I did asked a lot of question and read many books on the subject, because after 4 years of misdiagostics and a ton of medication, I did not wanted to experience another frustration. After a month of documentation I decide to go to Envita. I was at there clinic for 9 weeks. and I took 1 month of convalescence afteward. Than, I look at my health: My memory and concentration problems were gone at 100%. My headache was gone at 90%. My extreme fatigue was gone, now I can have a normal day of work. My joints and muscles pains were gone at 90%. I was able to re-begin a normal life. Thanks to Envita family and specially Dr. Poteet and Samanthe for their constant support, expertise et help. I can't thank my family at Envita enough, The experience was outstanding! I was dealing with lymes for 8 years and seeing different doctors with little results. After being at Envita for 8 weeks and doing follow up IVs at home and now a year later I am back to work full time for 2 month now and doing great!! The journey was rough and still doing some detoc and immune boosters but I got a life back that I didnt have for years. Thanks again to Envita!!! After battling Lyme disease and health problems for 11 years my family found Envita on a web ad at the perfect time. I had hit rock bottom physically and mentally and was about to lose my family because of it. Dr. Hummel and all the staff at Envita went above and beyond using every tool, test, resource they had available to help me heal and live a healthy and happy life. I had battled extreme body pain, vision loss, four hip surgeries including a replacement, passing blood, years of abnormal bloodwork.After initial testing at Envita I found out that I had borrelia, Rocky Mountain spotted fever, ehrlichia and many other viruses and infections. My family and I came to Arizona from Missouri for 10 weeks of treatment. I would do it all over again in a second. I have been home for almost a year, back to work full time in construction, and am for the first time ever living a pain free life with my wife and two kids. I went to Envita without a very specific diagnosis but through their incredibly thorough testing they found key pieces to the cause of my health issues that multiple doctors hadnt found over many years. The staff at Envita are not only talented but so kind! Samanatha answered all of my many questions with such grace and Dr Poteet was caring and insightful. Thank you, Envita for giving me hope again! In June of 2016, I had a sudden, sharp pain in my back. It didnt last long but over the next few months, the pain returned more and more frequently. My sons and I manage a 45-acre farm and I was 75. I assumed I had pulled a muscle by overdoing things on the farm and tried to be more careful. However, by October I was sleeping in a recliner because lying flat on the bed was excruciating. I slept fitfully each night, not ever feeling truly rested. My doctor recommended physical therapy but that just made the pain worse. By December, I was having trouble eating. Not eating made me ill but eating made my stomach hurt. I dropped 25 lbs. and was unable to stand upright because the pain was worse when my back was straight. I returned to my doctor, who could feel several large masses in my abdominal area. He immediately referred me for imaging. The CT scan showed multiple masses in my abdomen, the largest being 7 inches. There were also masses growing around my esophagus. A biopsy was completed and in January 2017 I received a diagnosis of Stage 4 Non-Hodgkins Mantle Cell Lymphoma. I met with a local oncologist, who told me what treatment I would receive. He didnt answer my questions or give me any options. I felt uneasy with his proposed treatment plan. My son-in-law knew of Envita Medical Clinic in Scottsdale and arranged an appointment. Our first visit with Dr. Warren lasted about two hours. He took the time to explain how cancer works and what treatment he would recommend. He answered every question we had and checked at each step to make sure we understood everything he told us. I felt very at ease with him and the proposed treatment plan. When I began treatment, I found that same level of attention with every interaction I had with the staff. Everyone was very caring and concerned about me and the other patients they were treating. They were always willing to explain what they were doing and why. I continued to lose weight, dropping another 10 lbs. in the first four weeks of treatment. I became so weak I could barely walk into the treatment center. However, after about six weeks, my pain level went way down and I started getting my strength back. For the first time in five months, I could finally lay down again to sleep. By the end of my 12-week treatment program, I was feeling stronger and had regained 20 lbs. For the next six months, I continued to return once a month for follow-up treatment and was always treated like a long-lost friend. My experience at Envita couldnt have been more positive. I would recommend them to anyone. I have been a patient at Envita for a while and I want to share my wonderful experience at this clinic. Envita people provided me with the best medicine and supplements bust most of all they listened to me, they supported me, they made me feel comfortable, loved and safe. I have never experienced such quality medical care before. The Envita team are fully dedicated to what they do, how they do it and the patient's wellbeing. They are professional, compassionate and caring from the front desk, to the nurses, to the doctors and those who I have not had much contact with. Everyone is like a family including patients which meant a lot to me because I was alone and missed my family and my puppy so much. I do all my home care and continue receiving guidance and support from my doctor and my home care coordinator as I seek full recovery. Thank you Envita team. Thank you Dr. Poteet for your care and dedication. God bless you all to continue your mission of healing. I was diagnosed with BCell Double Hit Lymphoma in Canada in Feb/16. After 625 hours of chemo with 10 drugs and 2 programs over a 7 month period, my Oncologist in Canada stated that I was resistant to chemo, even though 2 of the 4 areas that cancer was present had been eliminated. While a new area was appearing, one was shrinking and grew back larger. The prognosis which was not good to begin with, rare, aggressive, lymphoma got worse. Instead of enter a clinical trial in its 1st phase and time not on my side, I took my wife's advice and reviewed the Envita web site. Upon reviewing Dr.Prato's videos, information and testimonials, I was sold to cross the border and commence being tested and treated. It made all the sense in the world to improve one's environment before administering conventional means of treatment. Furthermore, finding the cause by applying a personalized approach through elaborate testing, was "the icing on the cake" for me. I am happy to say that after a 3 month program at Envita, Scottsdale headquarters and coupled with immunotherapy treatments at Envita, Mexico, that of my 3 areas of concern, 1 has almost all been eliminated and 2 have shrunk 50% upon CT scan results. We anticipate that when a PET scan is performed in 2 month's time, there will be no activity and I will be classified in a state of remission. Considering 12-18 months is about all I could have expected, 15 months later and I am feeling like a new man and will feel better and better as the natural killer cells work their magic. All the above could not have been possible without the entire Envita family support, care, encouragement, love......The overall experiencing has been overwhelming and given me and my wife continued faith and hope that things will progress with an entire change in lifestyle and following the program to a tee. I can't think of recommending any other institution to treat cancer/lyme disease as Envita combines the best of both worlds-Convention/alternative to give one the best chance available. As Envita says at the end of each e-mail, blessings! It was like a dream-come-true to find a medical facility that actually focused on curing & healing as opposed to just treating symptoms; and a dream also to see that the medical clinic was allowed to provide proven naturopathic therapies as well as conventional. Arizona leads the country in that regard. Then to our amazement, Envita took the time to focus on thorough diagnostics before drafting a customized therapy protocol. They must have drawn about 3-dozen tubes of blood, and some was sent to Europe for analysis of genetic profile. But it did not end there. Urine was tested for heavy metals. The condition of colon and skeleton were evaluated. Testing was done for the presence of bacteria, viruses, and parasites. There are many things that can retard healing. Envita made the effort to uncover all of the root causes that might be hindering healing. The staff is incredible with giving quality time, and compassion is just who they are. The atmosphere is positive and upbeat, and the healing we experienced from squamous cell carcinoma seemed to be a miracle. Going to Envita for treatment for Lyme disease was one of the best decisions we've ever made. It's a very professional, personable and caring environment, unlike anything I've seen or experienced in my lifetime. Starting with Samantha, the patient care coordinator to guide you through the process, over a two hour consultation with both Drs. Warren and Oertle, you are finally seeing people that believe what you're telling them. I spent over 9 weeks at the clinic, M-F, pretty much full days for various treatments and IV's. The whole staff is terrific with the nurses being the top in their field! I got my tick bite 42 yrs. ago and never thought much about it. Got married, raised a family and so it goes. Life went on as normal, health wise, until about 12 yrs. ago. Had some stress issues and things just fell apart. Went to the dr. and did an MRI. The Dr. didn't see anything but he said "I think you have MS, this is what you need to do..."
The red flags went up; I felt a diagnosis of MS warranted a lot more than an "I think". A couple of other local Drs. chimed in with "maybe it's ALS or a brain tumor". They needed to label me with something! So I quit going to the allopathic Drs. Did some research on my own and concluded it was Lyme disease. By this time I was really going downhill. Balance issues and walking issues were getting worse, and so was speech.. Did natural & homeopathic medicine, which helped for a while, then another downhill slide. Enter the wheelchair. Paralysis from the waist down. That was about 5 yrs. ago. Started going to the Dr. in Mexico which helped some. He did order my Lyme tests from two different labs in the U.S., which came back positive. And at least I was no longer getting worse, but aside from that, I wasn't getting much better. Just got back from our last trip to Mexico and I mentioned to a friend that I wouldn't be going back, and she told me about Envita. Was at the clinic from the end of May until the first part of August, 2016. A wonderful experience. Finally feel like I'm going in the right direction. I'm still in the wheelchair, but I do have more mobility now than I've had in years. In fact, when I'm laying on the floor, I can now roll over! I don't feel that I'm done seeing improvement yet. There's been so much neurological and muscular damage that I know it's going to take quite a while to repair, but I feel I'm on the right track finally! I would strongly recommend Envita to anyone who is looking for an alternative approach to healthcare. I have Lyme disease complex and have been to many doctors over the years. Only at Envita did I start to see results! Thank you Envita! After years of frustration and being told be traditional medicine doctors that I had various things such as "Lupus, MS and Hepatitis C". I arrived at Evita Medical Center September 12, 2016 for a nearly eight week stay. During my stay I received from 4 to 7 IV treatments everyday. I personaly believe the IRAD treatments were the "silver bullet" for me. I am now back home and my health is still improving. Friends from home asked "what did you do all that time" my response is when you go to Envita healing becomes your job, it is liking going to work every day five days a week and then resting up on the weekend. My advice to anyone going to Envita "do eveything the staff tells you to do, if there is anything you are uncomfortable with talk it over with your patient care coordinator" the doctors and staff have well researched reasons for everything they do. The doctors and staff were all wonderful. Where do you begin when your spouse is told he has 6-9 mos to live? After dealing with traditional cancer treatments the dr's said for his type of cancer was to take life sustaining chemo pills and hopefully down the road they would find a better treatment for Renal Cell Carcenoma. In other words Mike was on borrowed time and the end would come sooner than later unless he got a miracle. Mike had surgery and then he tried brutal n abrasive treatments only to be told we have nothing else! Through my company I was informed of Envita Medical Ctr and given their contact. Two weeks later we arrived at Envita. Mike was given a thorough work up with true genetic testing that Drs designed a protocol that was unique to his DNA! Skillfully and with the greatest attention to healing his whole body while giving him quality of life. The scientific approach even to the most skeptical person on alternative treatments with integrated medicine is designed to kill the Cancer cells even if metastasized as Mike's were. Mike had been receiving traditional medicine treatment starting in April 2011 in Texas till we arrived at Envita's door in April 2015...when the dreaded day came and Tx Drs said that he might be at the end of his journey. But.... Mike started treatment at Envita immediately and by the end of Nov 2015 Mike R is in partial remission and leading a normal life by going back to work full time and feeling better than he has in years! He visits the clinic for treatments once every 4-6 wks and is working towards a full remission in the near future. Now is that a Praise the Lord!! I appreciate the wisdom and scientifical approach that Envita used for Mike ...it was just what the dr ordered for him to understand and follow the protocol even when allowed to return home! I tell people everyday please if you get a bad report from the dr get a second opinion from Envita! I am Thankful for Envita's diligence in researching and working on cures for cancer! I am also thankful that I still have my husband alive and healing for Myself and our grandchildren! In 2014 I was diagnosed with Lyme disease after going to many doctors and leaving with no answers. I sat in the doctors office in shock with no clue of how to deal with this disease that I had never even heard of. I dont give up easily and the fight was on. I began researching and working through the treatment options. For 6 months I took 32 pills a day of oral antibiotics, supplements and other medications to deal with my symptoms meanwhile my liver was shutting down. I was taking medications for extreme fatigue, constant body aches, depression, anxiety, migraines, neurological issues, digestive and skin problems. I became even more sick as my body starting herxing from the Lyme die off. None of my symptoms got better and the migraines became so bad that I couldnt even function enough to get through a day not to mention I began losing my hair. I decided to stop the oral medication chaos and chose a more natural path. The holistic doctor that I worked with was able to help keep some of my symptoms at bay for about a year. The time came when I couldnt take any more. My symptoms came back and I started losing the use of my hand because of the pain and stiffness. I would lose my balance all the time as if I were walking around intoxicated. I was suffering and my family was suffering. In June 2016, I started more research and found Envita Medical Center. After thoroughly combing their website, I contacted Envita. I was immediately assigned a patient care coordinator, Samantha, who consulted with me over the phone and via email. She was so patient and understanding. Samantha stayed with me throughout the entire process. She was there answering every one of the 50,000 questions I had even before I committed to going to Envita for the consultation with the doctor. In July 2016 I went for my consultation and by August 2016 I arrived at Envita away from my family and friends. I told myself I just want to be 50% better, just 50%. I was desperate. After 8 weeks of daily treatments consisting of an aggressive combination of conventional and naturopathic medicine I was able to go home, 90% better. For a Lyme sufferer 90% feels like 100%. The devoted and compassionate staff at Envita were there to help me get to my 90%. Everyone is like family there which meant a lot because I missed my family so much. It was the first time I was able to be around people who truly understood because they are fighting the same battle. As Lyme sufferers we often feel alone because most people dont understand the disease. I have been home now for four months and Im still doing well. I try do all of my home care and follow up with my Envita home care team regularly. Thank you Envita for giving me my 90%, it was so worth it. The Envita team has provided me with the best medical care I've ever experienced, and still does from a distance. I spent 8 weeks in the clinic this past summer. I was extremely impressed with the cleanliness of the facility, the medical expertise of the doctors & nurses, the cutting edge treatments, and the sincere kindness and care of the staff. The doctors, nurses, patient care coordinators and medical assistants attended to my needs promptly and effectively. They answered my questions with clarity and patience, giving me all the time I needed to understand my situation and take ownership of my health. Despite the rigor of the treatments, I was filled with deep peace knowing I could trust the doctors and the process. I continue to be an Envita patient from a distance, receiving quality advice, guidance & support from my doctor and my Home Care Coordinator as I seek full recovery. I have encouraged family and friends to seek medical care at Envita - I have found nothing better. May God continue to bless the healing mission of the Envita Medical Centers! what success rate do you have with late stages colon cancer? Jo, it all depends on more factors than just where that cancer is located. At our center, we personalize treatment based on an individual's genetic information, which can play many different factors. To learn more about our clinic please contact us at 1-866-830-4576 and a Patient Care Coordinator can help provide further insight. I live in Chicago. What is the length of stay for diagnosis and treatment related to fibromyalgia? Hat is your treatment & success rate for Stage 4 Glioblastoma mulifold? Are there more centers than the one in Arizona? Envita is only located in Arizona because Arizona has special laws in place that allows our doctors to do specialty treatments you can't get in other states. The costs involved will greatly vary because each patients protocol is built specific on their underlying infections and specific causative factors. Based on our years of experience we find that treating these underlying factors may help our patients achieve a better quality of life.This unique approach to customized treatment will cost between $60,000- $80,000 dependent on the treatments our physicians deem necessary. This is a ballpark figure and it can go up or down based on the severity of the condition. Hi, do you have a program that would pay for a poor person with ovarian cancer? Thank you for reaching out, unfortunately Envita does not have any payment assistance programs at this time. Do you work with Parkinson'd Disease and if so what kind of results have you been able to provide. Envita has worked with Parkinson's disease patients in the past. What we have seen clinically is Parkinson's patients that may have been misdiagnosed and are actually suffering from other underlying infections that may present symptoms similar to Parkinson's disease. Every case is different and it would require specialized testing to dig deeper. We would recommend calling into the Envita at 866-830-4576 and ask to speak with a Patient Care Coordinator, they work directly with the patients everyday and can provide better insight into what you or a loved one may be dealing with. Did you treat stomach cancer stage 4 and had success ? Envita specializes in late-stage and complex cancers. We have treated multiple patients with stage 4 stomach cancer. You will want to reach out to our medical center and ask to speak with a Patient Care Coordinator, these professionals work with the patients and physicians everyday and can give you insight into past patient successes. Please call 866-830-4576 and ask to speak with a Patient Care Coordinator. Do you take cholangiocarcinoma stage 4 bile duct cancer patients? Chemo was stopped a month ago. Does anyone do immunotherapy on the east coast? I live in Greensboro, NC, but have family in the Washington and Boston area. We would not be familiar with who does immunotherapy on the east coast unfortunately. Envita uses proprietary immunotherapy options we developed for our patient base and would not be able to refer you to a center that would have similar treatments. But there should be options available in your area. Have you had cases with stage 4 NSCLC? I cannot say for certain we have had a recent case of that specific cancer, however that does not mean we wouldn't have options available for you. Please contact a member of our Patient Care Coordinator team at 866-830-3576 to find out what options are available. Questions? Get answers from the Envita staff and other customers. 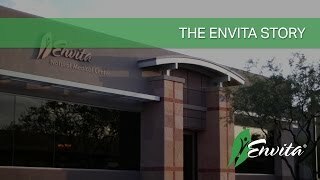 Envita Medical Centers have been an influential leader in advanced integrative medicine for well over a decade. Envita treats a broad range of conditions using the latest scientific technologies and approaches to personalized medicine. Our areas of focus are cancer, Lyme disease, fibromyalgia, chronic fatigue syndrome, autoimmune diseases, as well as infectious and chronic diseases. We integrate the best of conventional and advanced natural medicine using our proprietary methods established with several decades of combined clinical integrative medical experience. Our physician, facility and medical team are focused on one thing – helping our patients overcome difficult health challenges. At the age of 19, I, Dr. Dino Prato, the founder of Envita, watched as a very close family member of mine passed away from cancer. I remember my family taking her anywhere and everywhere for help. Her cancer was in an advanced stage and the main recommendation for her prognosis was hospice. She found more help available in a few natural doctors than she did on the conventional side of medicine. Nearly two decades later, I still wish every single day that I could treat her now with all the tools and technology that have been currently developed. On the day my aunt passed away and as my family gathered in prayer around her bed, something inside me knew that this experience would have an impact on my life forever, even though at the time I didn't really understand how. It is my personal belief, that God, in his magnificent plan for our lives, gives us the experiences we need and the tools to accomplish our missions in life. The name "Envita" means to save and protect life and that is exactly what each and every family member, person and loved one deserves. Amanda and our educators work directly with our doctors and medical staff daily, and they all share our unwavering passion for people and healing. Happy to answer your questions, rather, we insist upon direct contact, practicing radical loving care for each patient and family member. Please do not hesitate to contact us with any questions you may have. We are happy to help assist you or your loved one. We believe that education is the best prescription and that everyone deserves the finest healthcare options. We personally welcome you to Envita Medical Centers and wish you a wonderful journey to healing.